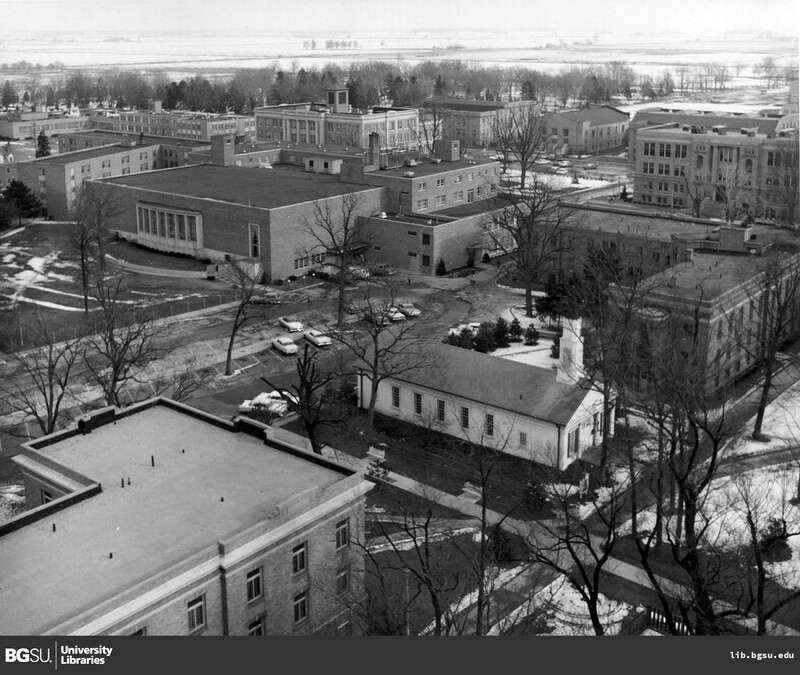 “Central campus from Administration Building.” Digital Gallery. BGSU University Libraries, 4 Aug. 2015, digitalgallery.bgsu.edu/collections/item/14306. Accessed 24 Apr. 2019. This winter view clearly reveals many of the new buildings erected during the 1950s. At center is Prout Chapel (completed 1951), designed in the style of Western Reserve churches. 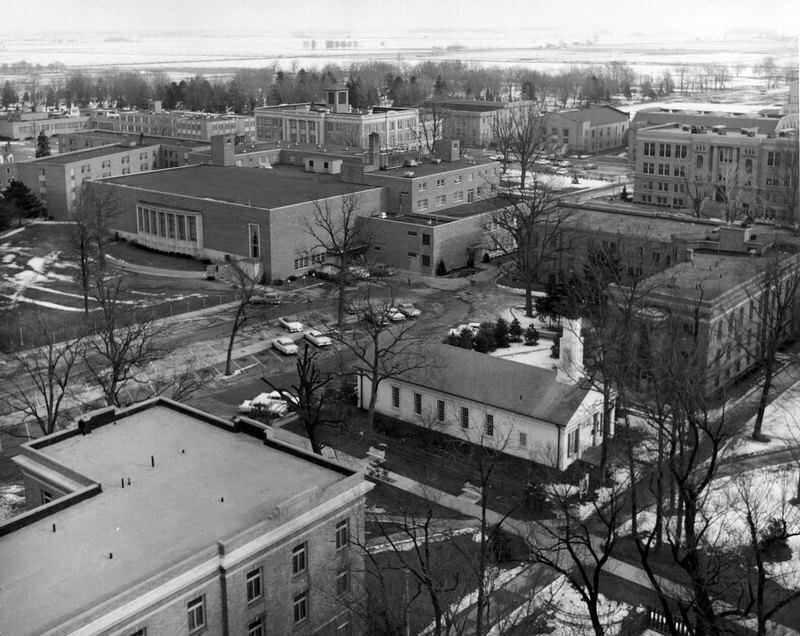 To the left, the Student Union (opened 1958) took the place of the old Falcon's Nest, with a facility many times the size of the original gathering-place. To the left of the Union is Alice Prout Hall (opened 1955), a women's residence hall named for the wife of BGSU President Frank Prout. The upper left corner of the photograph shows Overman Hall (built 1951).